SECURITY MANAGEMENT software and door control hardware are your business's first line of defense when it comes to loss prevention. Starr Telecom offers the Infinias access control system, which makes access control easy. Simply install one controller locally at each door and connect it to the nearest Power over Ethernet switch with a single Cat-5/6 cable. Add doors anywhere your network goes, making it easy and cost effective to build a system one door at a time. 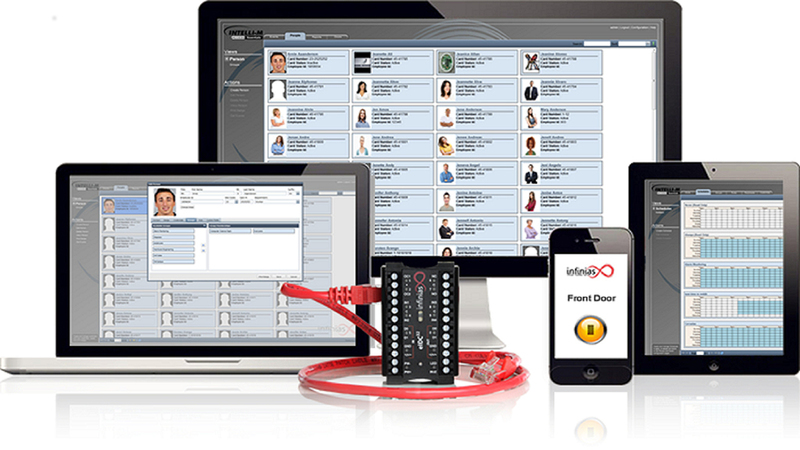 Combine the door controller with our access management software to create a highly scalable solution that can be deployed within one building, or across multiple locations around the world.